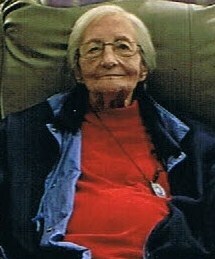 Laura Mae Carter Maddox passed away quietly August 23 in the presence of her Lord. She is preceded by her husband Roy Maddox and son Ronnie Maddox. She is survived by her daughter Debbie Whiten, Son- in-law Rick Whiten, daughter- in- law Martha Lou Maddox. She is blessed by grandchildren Chrystal Maddox Church and her husband Phil Church, Steven Maddox and Cadence Whiten. She is also blessed with great-grandchildren, Chandler Church, Addison Church, Cooper Maddox and Tucker Maddox. Laura was a simple woman who loved the Lord and had a kind heart for all God creatures. A celebration of life will be held at Barker Creek Baptist Church Sunday, August 26 at 3pm. Visitation will be held following the service.